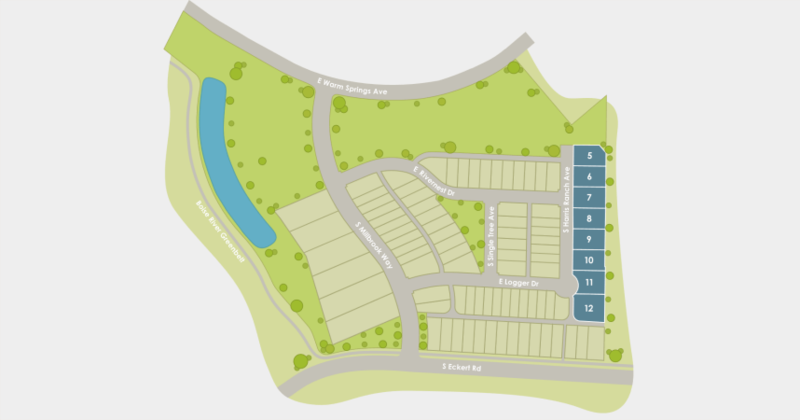 Discover new homes for sale in Barber Junction. Just 13 minutes from downtown Boise, this new addition to the master-planned community of Harris Ranch offers homeowners an unfettered outdoor lifestyle with smaller footprint floor plans that are big on amenities. Bask in your beautiful surroundings with a walk or ride to the Boise River, Greenbelt and Barber Park or indulge in the nearby recreation of Marianne Williams Park, Boise Foothills or Lucky Peak. Now's the time to discover the elevated lifestyle that awaits with new homes in Barber Junction at Harris Ranch. Search all Boise new subdivisions on WeKnowBoise.com, your source for local home builders and new homes in Boise and throughout the Treasure Valley. E Parkcenter Blvd to Millbrook Way. Between E Warm Springs & S Eckert Rd, Boise, ID 83716. For more information about Barber Junction at Harris Ranch, contact us online or call a Boise, ID new construction specialist at (208) 391-4466 today.